The Introduction to Kubernetes workshop will provide you with an understanding of Linux containers, their benefits and shortcomings, and how Kubernetes can resolve these shortcomings through scheduling and orchestration. Developed by engineers from Google’s internal “Borg” cluster project, Kubernetes was born out of Google’s need to manage services at a massive scale while maintaining completely zero downtime. It is consistently receiving improvements by members of the open source community, and is a class-leading platform for hosting microservices at any scale. Guided by our certified instructor, this course will take you through a brief introduction to containers and scheduling systems, followed by a practical section where you will learn the basics of Kubernetes by carrying out tasks on our bespoke Kubernetes training cluster. Understand why containers are useful, but have limitations. Learn how to solve some of these limitations with Pods. Know why the world’s biggest companies are powered by schedulers and containers. Have a basic core understanding of how to use Kubernetes. 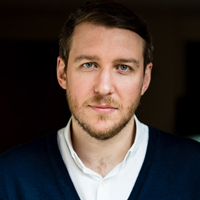 David O’Dwyer is the founder of LiveWyer, a London based consultancy which specialises in infrastructure development built on open-source technology. LiveWyer is a member of the Cloud Native Computing Foundation. Drawing on a broad systems architecture background, David and his team have successfully deployed a number of Enterprise solutions built around the lean, agile Kubernetes system. Having worked with a number of server management technologies he now firmly believes Kubernetes is a key technology in making the use of containers both production ready and accessible.